I studied English Literature at Royal Holloway, University of London, where I did both my BA and MA degrees. I then moved to King’s College London where I wrote my PhD, under the supervision of Professor Clare Brant. After completing my thesis, I moved out of academia and worked in the Civil Service in London, and then for two healthcare policy research organisations, the King’s Fund and the Nuffield Trust, working as an assistant for their directors of research. In 2007, I published my PhD as Queering Gothic Writing, and then worked as a temporary lecturer in the English department at Royal Holloway, teaching the eighteenth-century novel, Tristram Shandy and its influence on English literature. I now work part time for the Universities’ Council for the Education of Teachers, a not-for profit organisation that represents the voice of the university teacher training sector https://www.ucet.ac.uk . I also work freelance editor and proofreader for academic publications. My first attempt at creative writing was a screenplay, Ambrosio, and which was taken on by Pollinger literary agency in London.The screenplay is an adaptation of the first Gothic horror novel, The Monk (1795) and is a supernatural historical drama of deception and revenge on the forces of religious fanaticism. 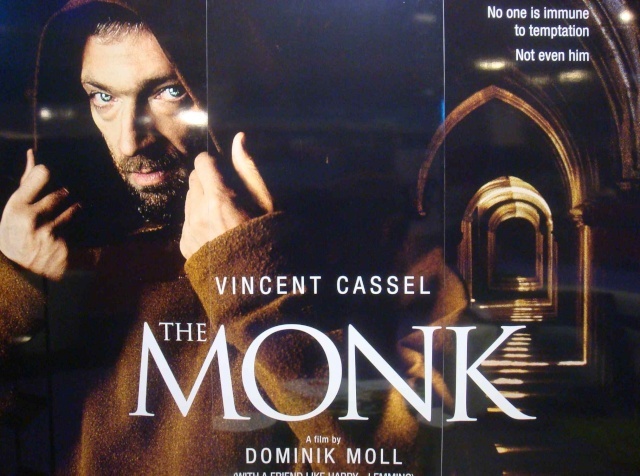 A film version of The Monk [DVD] did finally appear in 2011, directed by Domink Moll and starring Vincent Cassell. However, I cannot claim to be the screenwriter!